The original entrance of the Khufu Pyramid has a gabled roof and opens into a descending passage. It is 28.21 meters or 95.53 feet long. It joins a narrow ascending passage, which is 37.76 meters or 123.85 feet long, 1.20 meters or 3.94 feet high and 1.05 meters or 3.44 feet wide. This leads to the junction of the so-called "Queen's Chamber" and the grand gallery. It is believed that this chamber might have been planned as the original burial place but was subsequently abandoned for some reason. A second chamber with a pointed roof is in the center and measures 5.23 by 5.76 meters or 17.15 by 18.89 feet and is 6.26 meters or 20.53 feet high. 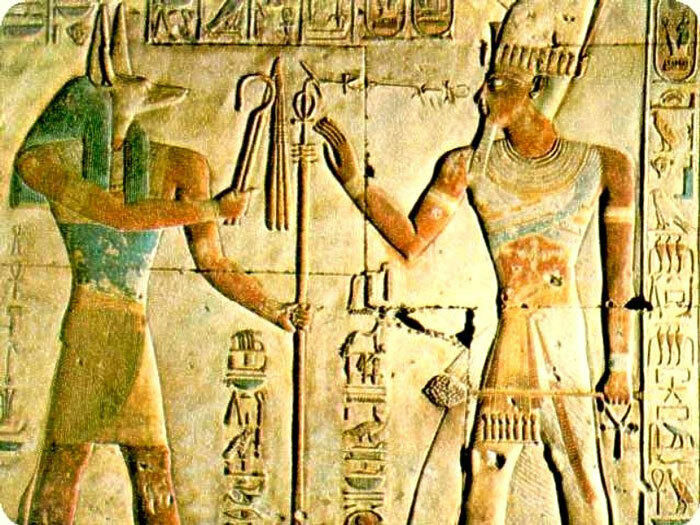 This chamber was mistakenly called the Queen's Chamber, but the queens were buried in separate, smaller pyramids around the pyramids of their husbands. The small rectangular shafts in the south and north walls of this chamber were recently investigated by inserting a robotic camera. It had been suggested that these shafts lead to secret cavities; however, no new evidence was revealed. The grand gallery runs from the horizontal corridor that leads to the Queen's Chamber to the king's burial chamber. This gallery is 46.71 meters or 153.21 feet long and is between 8.46 and 8.74 meters or 27.75 and 28.67 feet high. Its side walls gradually slant inwards, forming a corbelled roof. A corbel is a bracket of stone or other building material projecting from the face of a wall. The rectangular sockets and long grooves cut above the raised construction at each side of the gallery might have been connected with wooden beams used to lower and secure the stone blocks or plugs to seal the grand gallery. At the end of the grand gallery, there is a narrow passage with a raised platform in the middle. Its walls were covered with granite blocks with four vertical slots on the east and west sides. A granite portcullis, or blocking stone, could be lowered into these slots by ropes or other means, thus closing the entrance to the king's burial chamber. The burial chamber, which lies on an east-west axis, is 42.30 meters or 138.75 feet above the bedrock. It measures 10.49 meters or 34.41 feet by 5.24 meters or 17.19 feet and is 5.84 meters or 19.15 feet high. The chamber walls and floor are covered in finely polished granite casing and the ceiling consists of nine granite monoliths. There are two very narrow rectangular shafts cut in the north and south walls. These are known as airshafts but they might have served some religious purpose. 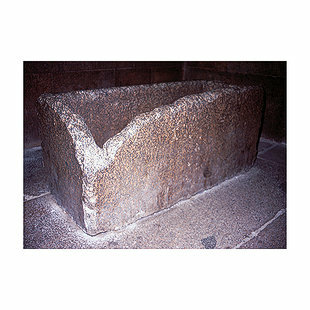 These shafts have been cleared and are now used for ventilation to improve air circulation inside the pyramid. The king's chamber contains an empty, lidless, rectangular, granite sarcophagus that once contained a wooden coffin for the king's body. Over the king's chamber, there are five separate compartments built one above the other. All have flat ceilings except the uppermost one, which has a pointed ceiling.